Today I’m welcoming Monica Cox to the podcast today. 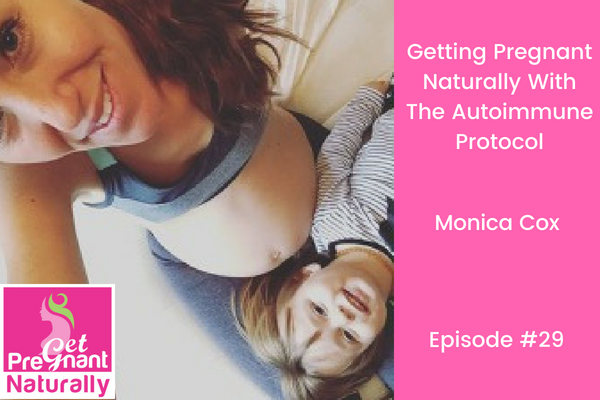 We’re digging into autoimmune protocol (AIP) and how it can help improve your fertility. I recently connected with Monica. I love that she is Functional Diagnostic Nutrition Practitioner and looks at the underlying cause of disease and illness. Monica is stay at home mom, who puts in the hours around her little ones. She focuses on woman’s fertility health, including IUI/IVF support. She is a qualified Functional Diagnostic Nutrition® Practitioner ®, which means she’s here to help identify and eliminate the underlying causes of your health issues and not just treat symptoms! Her 9 year journey with infertility has taught her that life is about the right now and not counting down the year in 2 week increments. Monica went through 2 IVFs and 3 FETs, which resulted in one beautiful baby boy. 4 years into her journey, she decided to make some dramatic diet and lifestyle changes to improve her fertility health. 2 months after all medical treatment was done and dusted, she found out the hard work had paid off and she was pregnant naturally for the first time ever. Baby boy number two entered their family in March 2018. Why an AIP diet is a good suggestion for someone who is trying to conceive. What is the main difference between a Paleo diet and AIP? Why researching on the internet and trying a specific diet and then deciding it didn’t work is a common theme we see…and what you should do NOW! Which foods to eat on the AIP and which foods to avoid! Monica is offering a special discount on her Mindful Me Journal – Baby and Me series. Use 5OFFGPN here!